A Camden couple has opened a new restaurant, Franny's, in the space previously occupied by Francine Bistro. CAMDEN, Maine — When Jack and Jennifer Neal signed a lease this summer on a restaurant space at 55 Chestnut St., they knew they could not ignore the legacy left by the space’s former tenant, Francine Bistro. For 15 years, Francine Bistro was a staple in Camden. But last year, owner James Beard-nominated chef Brian Hill closed the business, citing debt and a desire to spend time with family. In taking over the space, the Neals had a unique opportunity to pick up where a beloved restaurant left off, but do it their own way. 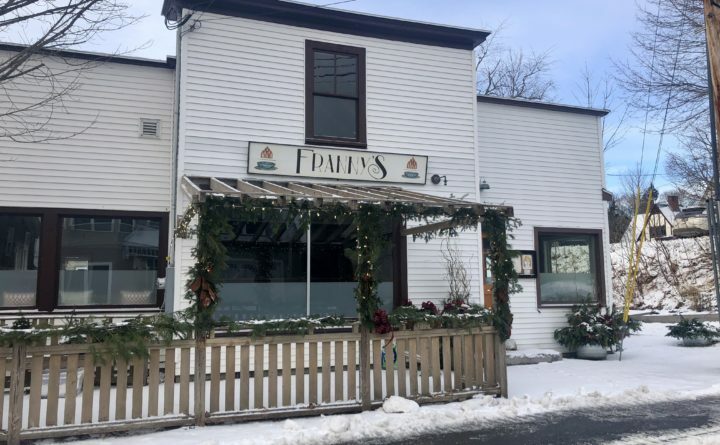 Franny’s opened earlier this month, and the couple said they have been overwhelmed with the support from neighbors who are happy to have the spot open again. While some restaurateurs might have been hesitant to open a new restaurant in the midcoast region in December, given that the area sees a seasonal population flux, the Neals felt confident that Camden is a four-season town, with residents who will seek out good food. The name of the new eatery is paying homage to the restaurant that came before. Jennifer Neal said that while the former restaurant was named after a young girl, the new restaurant’s name of Franny’s is meant to represent its next phase of life, with the girl morphing into adulthood. The couple comes from a restaurant background but in recent years were focused on raising their children, which did not always jibe with the night shifts the industry demanded. With their sons now teenagers, the couple said the time was right to get back in, especially with the opportunity that the Chestnut Street location offers. Jack Neal, a Culinary Institute of America graduate, serves as the restaurant’s head chef. His career began in Portland, where for 20 years he worked opening and running restaurants. The couple then moved to Jennifer Neal’s hometown of Greenville, where she ran a nursery and Jack worked as a chef. In 2011, the couple moved to Camden where Jack worked as the chef de cuisine at the Hearthstone Inn, before becoming the food service director at Hope Elementary School. Jennifer Neal takes care of just about everything else outside of the kitchen at Franny’s, she joked. The restaurant needed some love when the couple took over the space, but with a fresh coat of paint and refinishing, Franny’s offers a warm and cozy place to share a meal or a drink. Jennifer Neal said she wanted the space to feel romantic, and the antique table accents help to achieve the feel, as do the church pews that the couple repurposed from Hill’s restaurant. As for the food, Jack Neal said Franny’s theme is an American bistro, which he said to him means “a little bit of everything, with simple food and a lot of flavors.” The menu is a departure from Francine Bistro, which offered more classic French fare. Franny’s is open for dinner beginning at 5:30 p.m. Wednesday through Saturday.